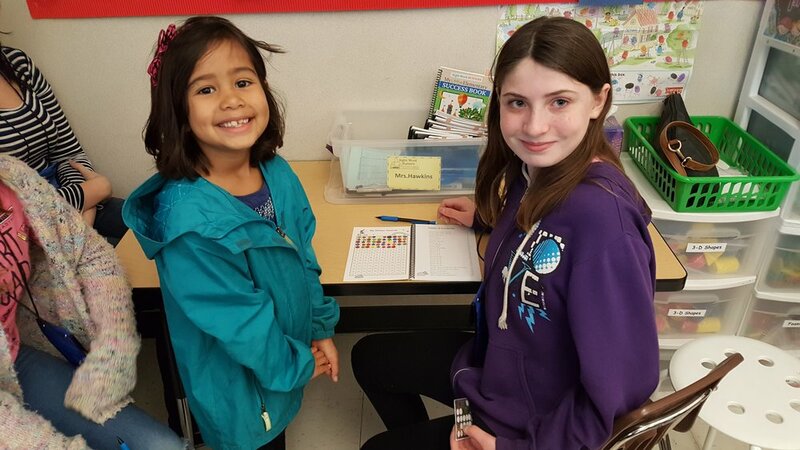 "Older students helping younger students become successful readers"
In addition to our community volunteers, we offer upper class students the opportunity in our elementary schools to participate in our Sight Word Busters service as "Buster Buddy" volunteers. 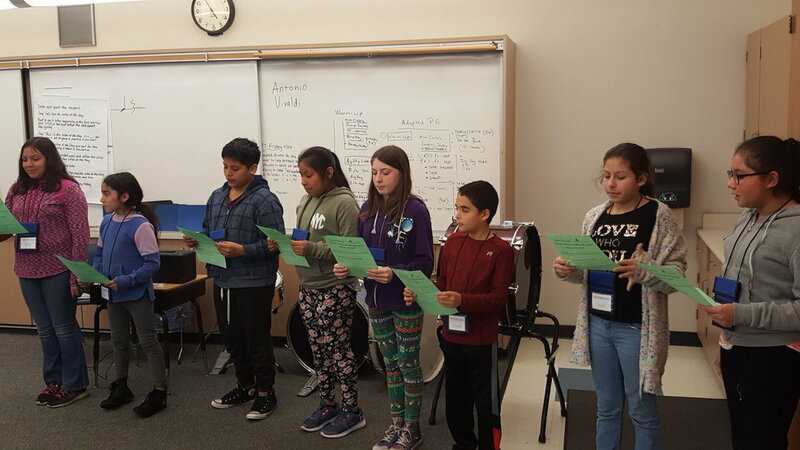 Each Buster Buddy chosen from his or her fifth or six grade classroom, will attend a training session to learn how to conduct the Pretest, Buster Shuffle, and complete the two-minute routine session. These trained upper class students, known as Buster Buddies, will volunteer in teams once a week in lower grade classrooms during their lunch recess. Using our Sight Word Buster teaching strategy, each Buster Buddy will help students from either a Kindergarten or first grade classroom, learn appropriate grade-level sight words. All Buster Buddies will be regularly monitored and supported by each school coordinator. During their training, each Buster Buddy will gain a better understanding of how dominating these high frequency words can directly impact a child's ability to read. 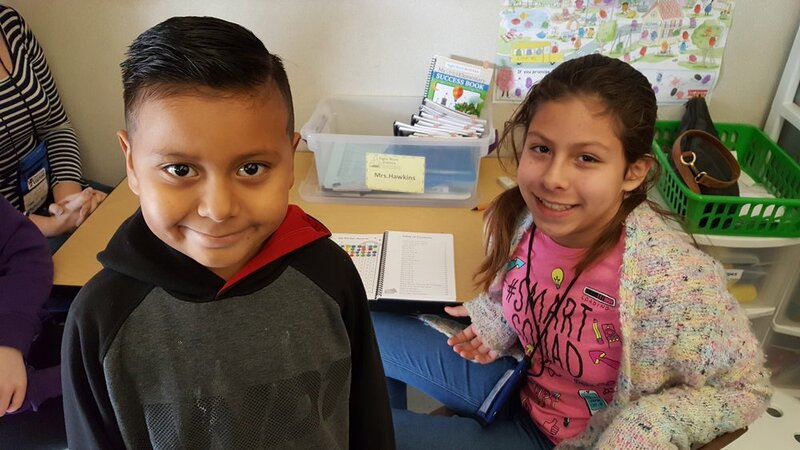 Through this program, our Buster Buddies have the opportunity to develop strong leadership and social skills by engaging in meaningful service. We have observed a boost in confidence among our Buster Buddies, which can help them excel inside and outside the classroom. 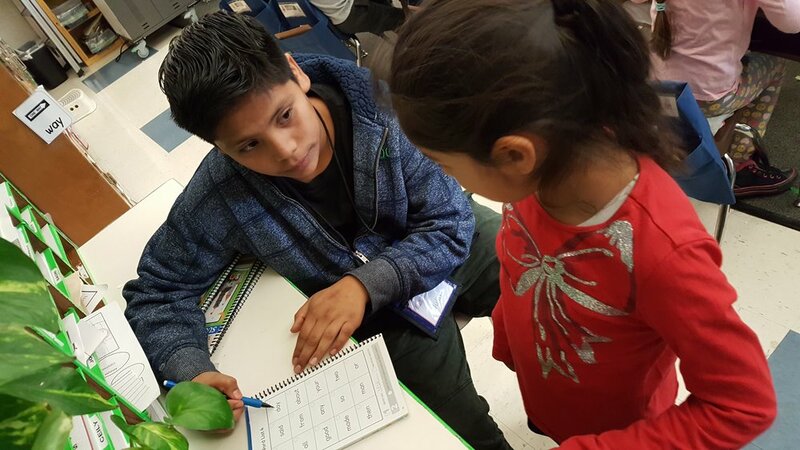 Additionally, our Buster Buddies gain an increased sense of responsibility and will be able to observe, first hand, how their work benefits the students they are helping. At the end of the year, each Buster Buddy will receive a certificate and letter of service signed by the President of Sight Word Busters. We have noticed that our students look forward to this peer-to-peer interaction each day. We have also observed that our students learn faster with this "big brother/big sister" support. Our program generates an encouraging environment which promotes positive change, and a great sense of pride and accomplishment within each of our Buster Buddies. At least one fifth or sixth grade teacher and one kindergarten or first grade teacher must be willing to participate in the program. Each participating teacher will be required to attend a thirty minute briefing before the program can begin. The participating fifth or sixth grade teacher will be asked to recommend four to eight students for the program. The participating fifth or sixth grade teacher must be willing to support their selected students by reminding them when it is their turn to serve in the assigned classroom. The participating kindergarten or first grade teacher must be willing to allow two Buster Buddies to work inside their classrooms during the allocated time (intermediate lunch recess). The participating kindergarten or first grade teacher needs to identify a small space inside the classroom where the sessions will be held. The participating teachers must agree to our Sight Word Buster service as a whole. Our Buster Buddies are members of each classroom team which consists of adult volunteers as well. If you are ready to bring our Buster Buddies program to your school please Contact Us.